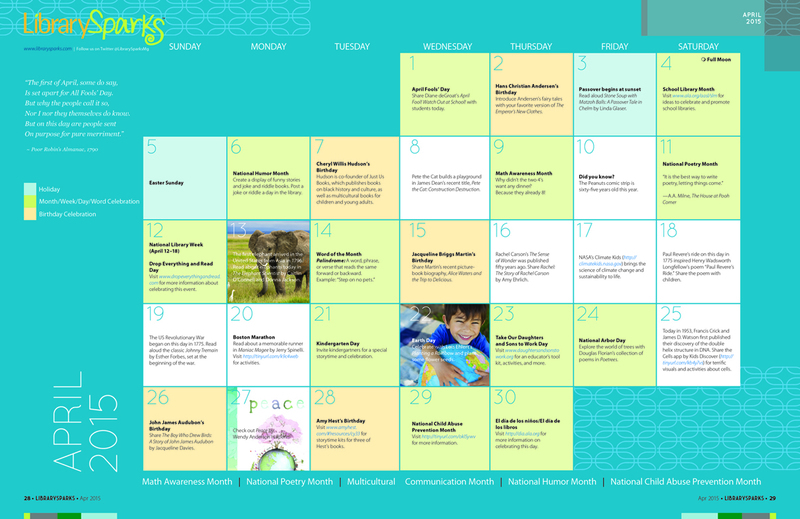 Shower your young readers with great book suggestions, displays and April 2015 holidays and observances. This month is filled with fun and laughter as we celebrate April Fools’ Day and National Humor Month. And, School Library Month and National Library Week make April a great time to spotlight the outstanding services your libraries bring to your communities and schools! Previous Exploring New Ideas: Sector67 Hackerspace	Next Want to Make Your Library the Go-to Place for Playtime? Here’s How!